Bobby Hull ought to be ashamed of himself. I mean, okay, he’s having a hissy fit. Most of us have had a hissy fit, or two. But know this about Hull: His is a selective hissy fit, aimed squarely at Good, Ol’ Hometown. 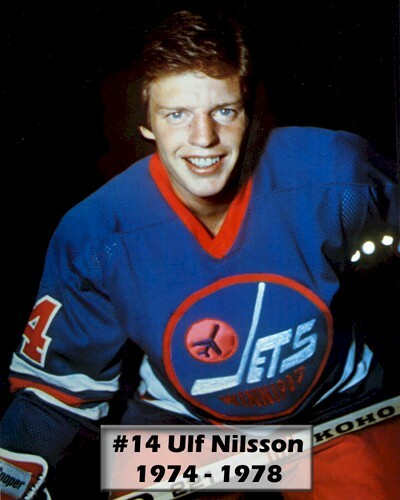 Hull snubbed the inaugural Winnipeg Jets Hall of Fame ceremony on Wednesday because, as many of us suspected and as his former linemate Ulf Nilsson confirmed, “he’s upset about some things that are being brought up from the past.” Read: Domestic abuse/violence. Well, yes, some local media opinionists, bloggers and fans tsk-tsked last summer when the Jets announced a) the creation of their Hall of Fame and b) that Hull, Nilsson and Anders Hedberg were to be enshrined as part of the throw-back hijinx leading to the Heritage Classic on Sunday at a football field-turned-hockey rink in Fort Garry. As I scribbled a month ago, why would Hull want to deal with more of that? 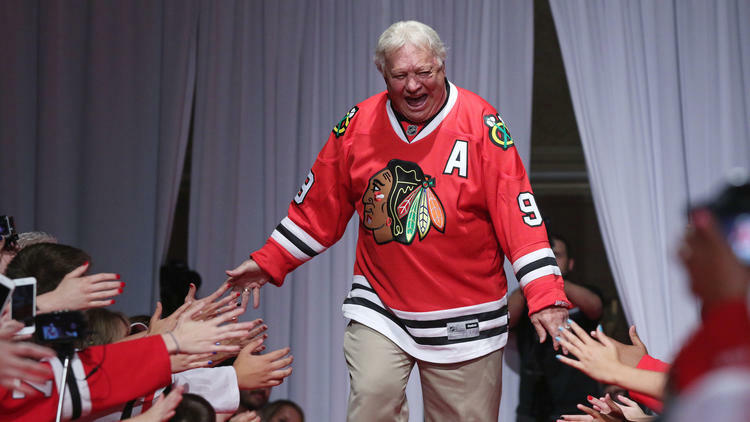 Bobby Hull doesn’t hide from fans and media in Chicago. Long before Bobby Hull’s likeness was chiseled in stone and plunked outside the United Center in Chicago, media opinionists, bloggers and fans in the Toddlin’ Town brought up his sordid past of whacking women about the ears. Yet the Golden Jet still attended the unveiling ceremony. Long before Bobby Hull was put on the Chicago Blackhawks payroll as an official ambassador, media opinionists, bloggers and fans in the Windy City brought up his sordid past of whacking women about the ears. They still do. At least one news scavenger has demanded that he be fired. 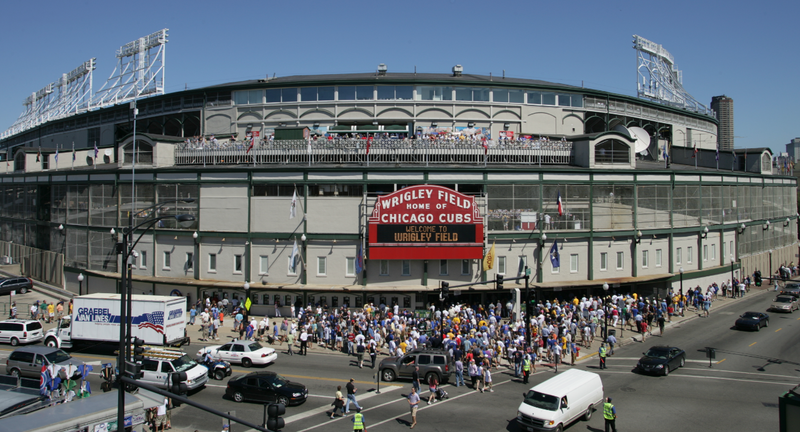 Yet the Golden Jet continues to flit about Chitown, slapping backs, shaking hands and clinking glasses with the rabble. No matter how damning the dialogue, Bobby Hull didn’t, and doesn’t, hide from Chicago, where he became an underpaid National Hockey League legend. 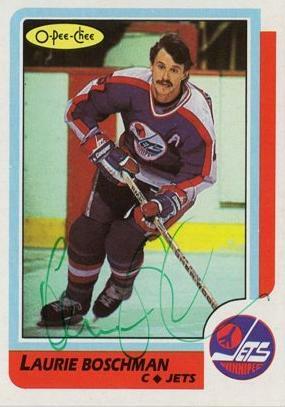 He just hides from Winnipeg, where, as the World Hockey Association’s marquee player, his bank account became as flush as his face now is. Think about it. Opinionists in Chicago condemn Hull in the harshest of terms and he soldiers on, smiling and glad-handing. Yet he refuses to show his flushed face in Winnipeg. What, our booze isn’t good enough for him? If Bobby Hull can gird his loins and stand before the rabble in the Windy City, he could have bloody well done it in River City. Hull, of course, doesn’t owe the city of Winnipeg anything. 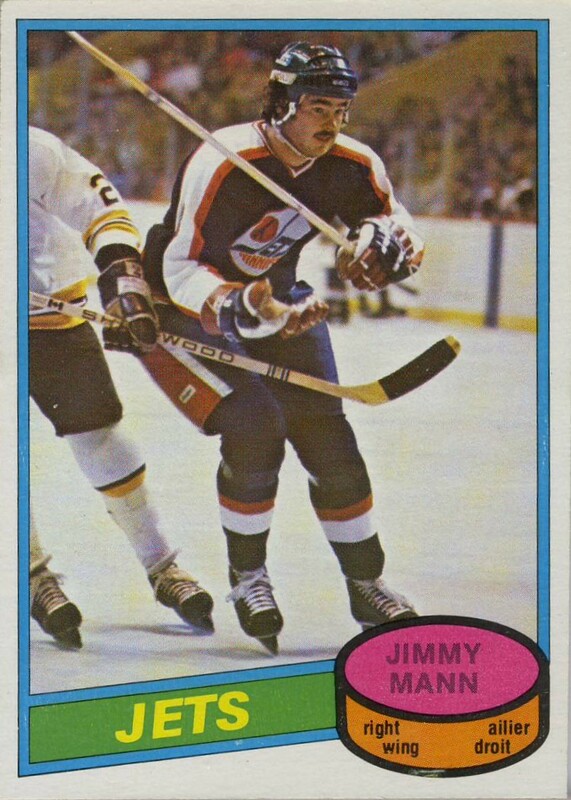 His contribution to the birth and growth of professional shinny in Good, Ol’ Hometown is second to only Ben Hatskin’s. But I submit he probably owes Hedberg and Nilsson an apology. He abandoned them. Anders Hedberg, left, and Ulf Nilsson. There the two Swedes sat on Wednesday, side-by-side on a podium, fielding questions from the assembled news snoops. Hedberg, the human lightning bolt of a right winger, looked vibrant, healthy and impeccably attired in a dark suit, crisp blue shirt and a blue tie with white polka dots. The passage of time has been kind to him. Nilsson, the crafty and foxlike centre-ice man, was more grandfatherly and rumpled in an open-collar shirt and drab sports jacket. Clearly, he’s never let success go to his clothes. But his sense of humor is intact. He joked about his new knees and hip replacement. As they spoke, though, it was impossible to ignore Hull. He was present by his absence. I couldn’t be certain if there was a touch of testiness, bitterness or hurt in his voice. 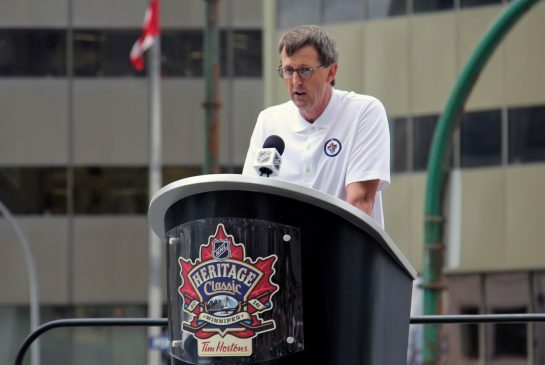 If anyone is truly out of sorts, I imagine its Jets co-bankroll Mark Chipman and True North Sports & Entertainment, because they’ve done the right thing in linking the present to the past. They looked beyond Hull’s off-ice trespasses and invited him to be central to this week’s celebration, yet he gave them the cold shoulder. He disrespected them. He disrespected Hedberg and Nilsson. 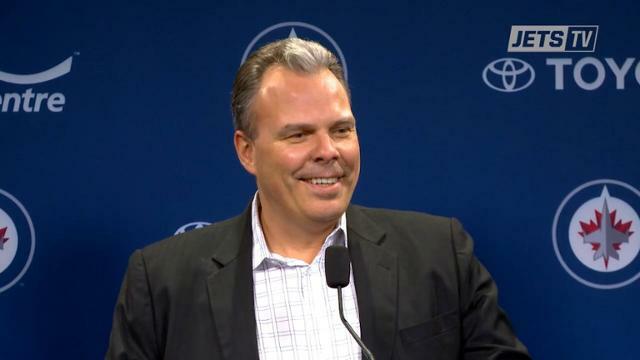 He disrespected everyone who’s worn Jets linen. 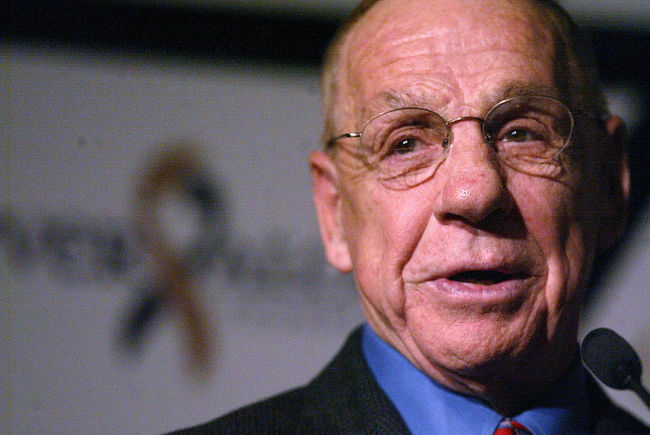 He disrespected the faithful who fawned over him during his six seasons in the WHA and those who stand by him today. I guess Winnipeg just isn’t Bobby Hull’s kind of town. Maybe it never was. Apparently, Chicago is. I cannot think of Atlanta without recalling the night the lights—and Tom McVie’s teeth—went out in Georgia. Yes, it was theatre of the absurd in early November 1979 when a ransacked Winnipeg Jets’ roster skated south of the Mason-Dixon Line to do their thing at the Omni Coliseum, a facility that most of the local citizenry avoided whenever the playing surface had been converted from hardwood to ice. Atlantans embraced hockey like they did Gen. William Tecumseh Sherman, who liked to play with matches and took a torch to the town during the American Civil War, leaving it a smouldering mess of burning buildings, dying embers and ashes. Which, come to think of it, is pretty much what the National Hockey League had done to the Jets. 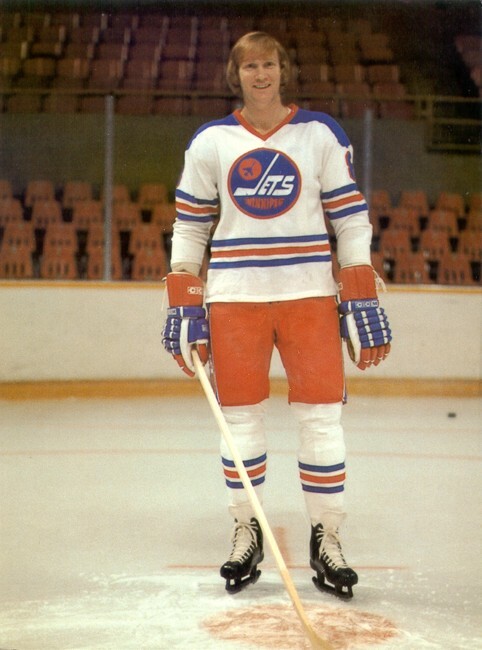 Kent Nilsson was among the players the Jets lost to the NHL. These Jets who skated into Atlanta were the skeletal remains of an outfit that, only six months earlier, had concluded the final World Hockey Association crusade with a third title. 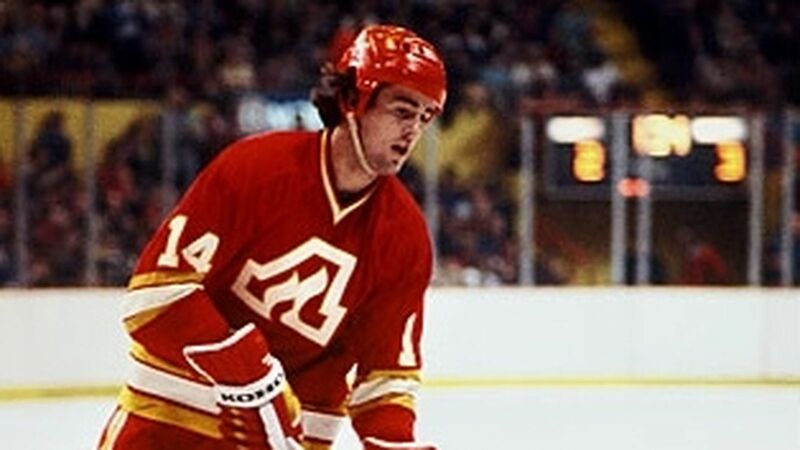 Gone were Kent Nilsson, Terry Ruskowski, Rich Preston, Barry Long, Kim Clackson and Paul MacKinnon, all but Preston the reclaimed spoils of a seven-year conflict between the NHL and WHA. In their stead were willing and dogged, albeit less-impactful, skaters who, through determination and the demands of their taskmaster coach, McVie, were on a roll, unbeaten in five matches as they arrived in Atlanta. That’s when the lights went out that night in Georgia. Although not ruffians of the Broad Street Bullies ilk, the Flames, while suitably skilled, were a big and bothersome bunch who didn’t require a great deal of prodding before releasing the inner beast. And, after asserting themselves on the scoreboard with an 8-0 advantage, that puck pugnacity went on full display less than nine minutes from time, much to the enjoyment of a sparse gathering that surely numbered less than 10,000 but included a rather striking, blonde lass who sat directly behind the Winnipeg goal during the pregame exercises. 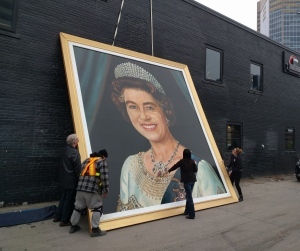 “The boys seem a bit distracted,” I joked with Reyn Davis of the Winnipeg Free Press. “I wonder why?” he replied. I’m not here to suggest that the fair maiden’s presence influenced the Jets’ performance that night, but she most assuredly served as a distraction because this southern belle seemingly believed that clothing was optional and she was not at all shy about displaying her ample assets. Tom McVie, presumably with his teeth in. At any rate, the Flames continued to give the Jets a different kind of dressing down on the ice and mayhem ruled the night. Phil Russell threw down on Dave Hoyda (twice), Willi Plett and Jimmy Mann went bare knuckles, Brad Marsh rag-dolled a much smaller Morris Lukowich, and two Flames tag-teamed a helpless pacifist, Mike Amodeo. Jets forward Jude Drouin thought that a bit much, thus he vacated the bench in an attempt to rescue his overwhelmed teammate. In scant seconds, the ice was a frozen sea of uncivil activity, with only McVie and his counterpart, Al MacNeil, tethered to the bench area. If the scoreboard wasn’t enough to send McVie off his nut, the uneven brawl served as the trigger, and what ensued was something straight out of the Vince McMahon, WWE playbook. McVie began barking at MacNeil, like a yappy, little dog with his necked bowed. He got louder, his face turned redder and he stepped closer to the glass partition that separated the two coaches. Then he stopped. Calmly, McVie took off his sports coat. He took off his neck tie. He took off his wrist watch. He unbuttoned his shirt. He then—wait for it—took out his teeth! He tucked his tusks into a coat pocket. He now was ready to duke it out. I turned to Reyn in our press box perch. His jaw had dropped. “Did you see what I think I just saw?” I asked him. “If you mean you saw Tommy take his teeth out, you did,” he confirmed. 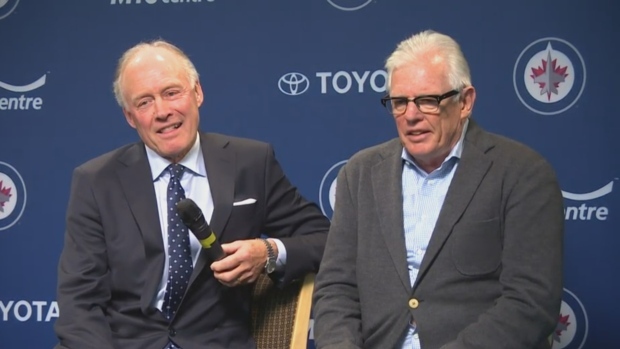 MacNeil, meanwhile, had been barking back at McVie and, seeing the Jets coach disrobe, he also stripped off his neck tie. McVie attempted to scale the barrier between the benches, but his tiny feet kept sliding on the glass. He gave it another go. And another. Eventually, Drouin returned to the Jets’ bench and re-engaged McVie with his better senses. Once the dust had settled, eight players and McVie were given the remainder of the night off. 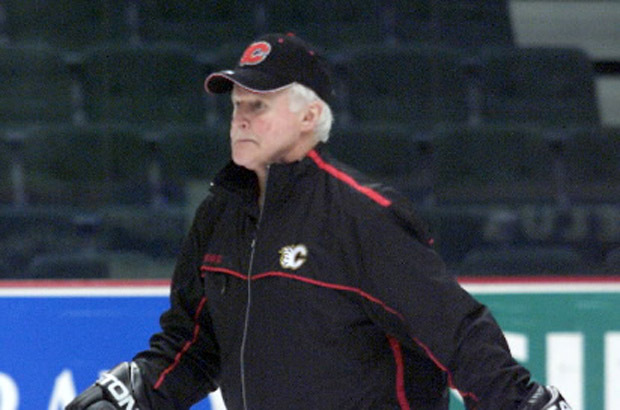 Al MacNeil went from Atlanta to Calgary with the Flames. Reyn and I later found McVie near the Jets changing room. He was subdued, but not full of contrition, noting the disparity in the dimensions of two of the combatants, Brad Marsh of the Flames and the Jets’ feisty but pocket-sized Morris Lukowich. “I can’t have my smaller players getting beaten up,” he said. Over on the other side, MacNeil was more inclined to play the victim and make light of the ruckus. The NHL flashed a different set of sharp teeth, suspending McVie for three games and docking him $500 in pay. After leaving Atlanta, the Jets went into a nose dive, winning just three of their next 12 assignments. But, hey, there was a sunny side to all of this: McVie managed to keep his chicklets in his head the remainder of the season. Perhaps because a broad brushstroke of hockey nostalgia is about to sweep across Good, Ol’ Hometown, I find myself reaching back to distant times and a shinny barn long ago reduced to rubble. 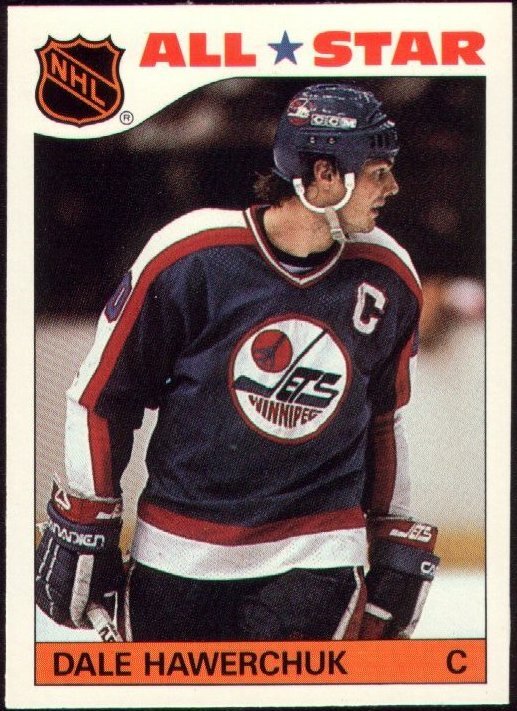 I couldn’t begin to inventory the number of days and nights I spent in the Winnipeg Arena during my three decades writing about hockey in River City, but I confess that the large majority of the games I witnessed have faded to black, lost in the foggy moors of my ever-eroding memory. Mostly, they come back to me in vignettes. A highlight here, an incident there. There are, however, three matches that remain indelible: 1) The Winnipeg Jets’ victory over the Soviet Union National team; 2) Game 6 of the 1979 World Hockey Association championship; 3) the first Tuxedo Night. The latter two I recall because one carried historical significance, in that it was the WHA’s final act and the local lads took permanent ownership of the Avco World Trophy, while the other was noteworthy for its marketing quirkiness and behind-the-scenes madness that brought closure to Bobby Hull’s career in Jets linen. Poor Bobby was all dressed up with no place to go on Tuxedo Night, and his clumsy exit is a humorous, oft-told chapter of folklore that I’m certain will be recited and embellished when the old boys gather for their Heritage Classic hijinks this week. That’s strictly Sideshow Bob stuff, though, when measured against the caging of the great Russian Bear. That was the defining moment for a team and its players whose accomplishments often were pooh-poohed by the hockey establishment because of the company they kept. 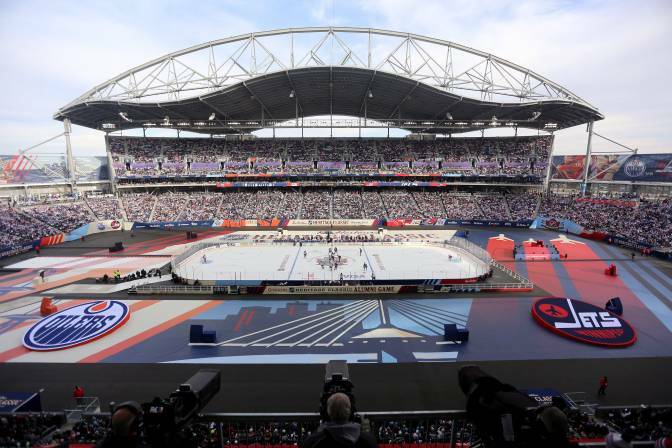 The WHA and its member teams, you see, were looked upon like the Canadian dollar is today—not up to par. Devalued. Or so the prevailing logic went. But wait. Don’t talk to us about second-class citizens. The Jets beat the Soviet National side, dammit! I can still see Ulf Nilsson delivering a short, delicate pass to Dave Dunn, a big, lumbering defenceman with a square, planter-like pot for a helmet. No one had ever mistaken Dunn for, say, the smooth-as-silk Peter Sullivan or Kent Nilsson. More to the point, his was a hunch-shouldered, laborious skating style that evoked imagery of a beast of burden pulling a milk wagon. Yet there was Dunn, suddenly with some lickety-split in his stride as he departed the neutral zone and navigated his way into enemy territory. 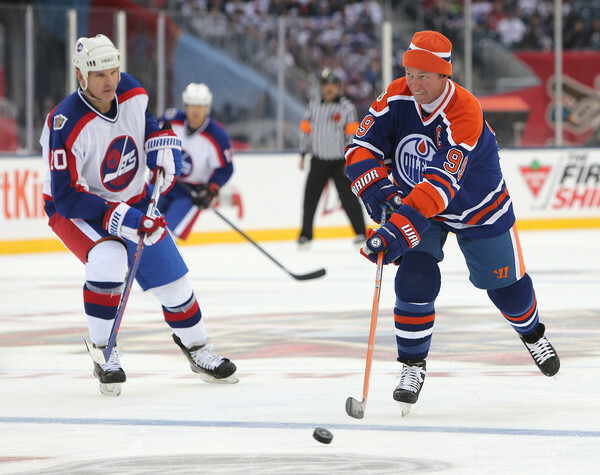 Looking up from the end boards, Dunn spied Hull standing at the lip of the crease, and he dished a backhand pass to the Golden Jet, who flicked the puck past Vladislav Tretiak. Game, set and match. The Jets had beaten the Soviets, 5-3. It is the irony of Dunn’s daring, as much as Hull’s three scores and Ulf Nilsson’s four points, that revisits me when I ponder the events of Jan. 5, 1978. I recall watching from on high, in the Arena press box, as Dunn accepted Nilsson’s feed and began his foray along the right wing boards and into a corner. I thought it totally out of character for him to be so ambitious. Dunn’s technique and skill level were directly at odds with the shock-and-awe swagger of his playmates, Nilsson, Hull and Anders Hedberg. Not to mention the three Soviet forwards on the freeze at that moment—Valeri Kharlamov, Boris Mikhailov and Vladimir Petrov. Dave Dunn belonged in that group like Don Cherry belonged in the Kremlin. “This can’t possibly end well,” I muttered to myself. This wasn’t a championship skirmish. It was, as soccer people are wont to say, a “friendly.” A pleasant interlude of sporting pleasure to perhaps soothe the sting of another long and dreary Winnipeg winter. Yet any frolic with the Soviet National side during the Cold War, circa 1970s, carried political overtones, if not intrigue, plus the promotional wallop of a heavyweight tiff. 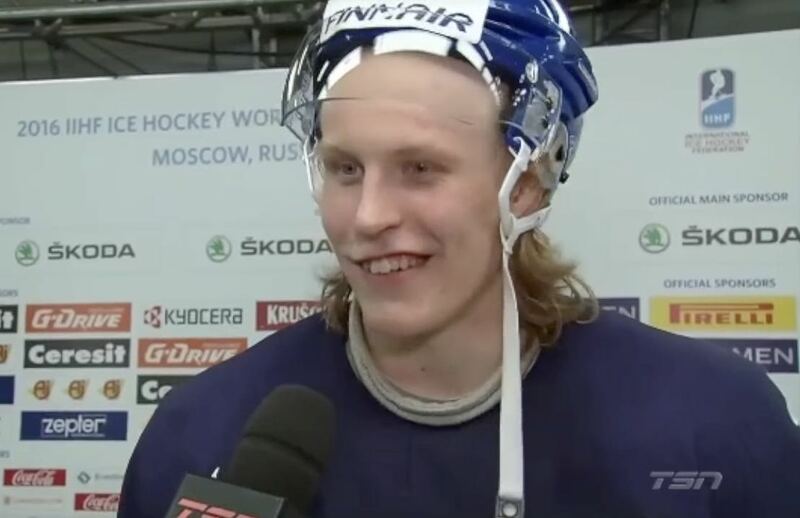 And so it was when the Jets, with their blend of smooth Swedes and good, ol’ bent-nosed Canadian boys, engaged the best of Mother Russia. None among the combatants arrived at the rink to make nice. This was a “friendly” like Winnipeg is New York City. 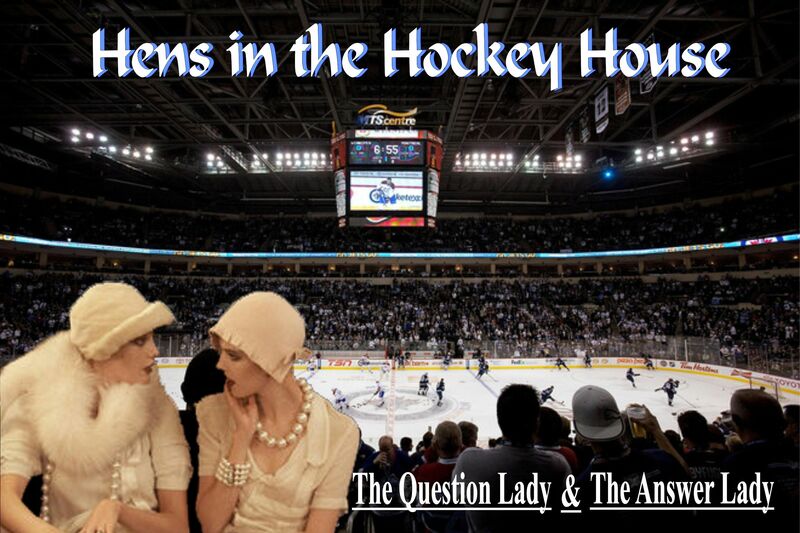 Few beyond the walls of the Jets’ changing quarters expected the WHA’s marquee team to topple the comrades. Even the most rabid of the rabble would have told you victory was less likely than Cherry taking a mail-order Russian bride. I mean, this was the creme de la borscht of Soviet shinny. It was one thing to whup a club side from Mother Russia, like Wings or Dynamo or, yes, even the National team’s doppelganger, CKSA, more commonly known as the Central Red Army. A few WHA and NHL outfits already had been there and done that. But beat the communist colossus? Nyet. To further underscore the enormity of the task, the Russkies already had given the Jets three wedgies in “friendlies” in Tokyo, Japan—7-5, 4-2, 5-1—prior to the comrades’ arrival on our shores (at which point Ivan promptly administered a 7-2 paddywhacking to the Edmonton Oilers). So, yes, the Russian Bear was in full-throated growl. The Jets, however, were not without bark and bite of their own. Although appropriately respectful of a foe that collected World and Olympic championships like little boys collected bubble gum cards, the Jets delighted a gathering of 10,315 eye witnesses by laying waste to the Soviets early, building a 4-0 advantage on two goals each from Ulf Nilsson and Hull. 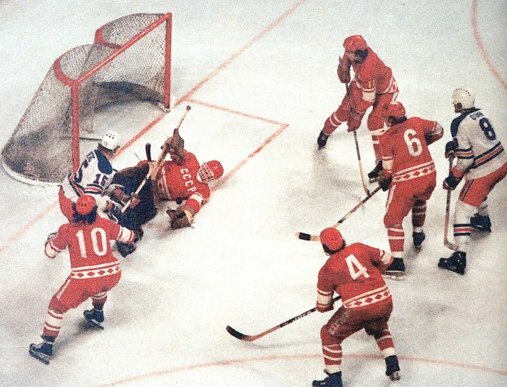 Shortly thereafter, taskmaster Viktor Tikhonov removed Aleksandr Sidelnikov from the Soviets’ goal and replaced him with Tretiak. As if on cue, the great Russian Bear stirred, making it 4-2 before the second period had expired, both goals coming off the stick of diminutive and unsmiling Boris Alexandrov. 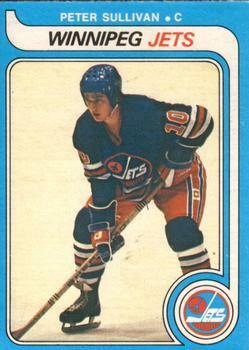 Vasily Pervukhin then supplied third-period drama, beating Jets goaltender Joe Daley two minutes and 43 seconds in. A collective murmur rumbled from the pews to the rafters in the old barn on Maroons Road. Fans feared the worst. The Jets quelled the Russian uprising, though, guarding their one-goal advantage with Scrooge-like stinginess until Hull converted Dunn’s pass into his third score and the Jets’ fifth, eight seconds from time. Never before had the Soviet National side been beaten by a club team. Scant seconds after the fact, those of us with pens, notepads and microphones were granted access to the locals’ lair, where we discovered half the players still fully adorned in their Jets livery and the other half already baring well-sculpted chests, abs and arms. Some roamed to the four corners of their cramped quarters, smiling and slapping broad-shouldered backs and tousling the stringy, matted-down hair on sweat-soaked heads. A few sat in silent reflection, giving ponder to a job well done and nursing post-work refreshments. They were properly pleased and proud, these Jets, also weary to the marrow. They seemed in unspoken agreement that the early after-moments of their conquest of the CCCP was a time for softened celebration, rather than unrestrained revelry, and it is their muffled merriment and a quiet quote from Ulf Nilsson that I also remember about the goings-on of that magical night. That sentiment worked both ways, that night and so many others for the Jets and their flock. 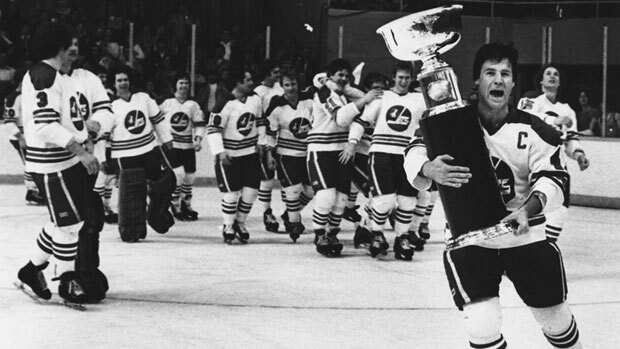 (Footnote: To put the Jets’ victory in perspective, the Soviets went 5-0 against five other WHA outfits on that tour, beating the Oilers (7-2), Quebec Nordiques (6-3), Cincinnati Stingers (9-2), Indianapolis Racers (8-3) and New England Whalers (8-4) for a combined score of 38-14).